I rented one of these in Canada last year, so I've had a lot of time to get to know this car. So, here are my impressions of the Ford Explorer. I drove the car for around 3 weeks, and by the end of it, I still wasn't sure about the way it looked. Yes, it looked muscular and big and tough, like an SUV should, but something about the front didn't work for me. The back was nice though, big chrome strips and blocky taillights, just as it should be. The interior is where I think Ford made the biggest leap forward. The seats are fabulously comfortable, and spacious for all 7 passengers. The trunk is cavernous with the two rear seats folded, and with them raised it was still useable. The front was also a class act. The steering wheel was nice to hold, quality was spot on, and the SYNC3 was a very intuitive system. If I had one complaint its that the touch sensitive console doesnt work very well while on the move (none of them do), but it seems that Ford is phasing this out slowly. Driving this car, you could tell that it was geared towards comfort. The ride was very very smooth, the V6 engine creamily and silently revs, the gears change imperceptibly. However, that does mean that there is a trade off in dynamics. The steering for example has no feel or feedback, in fact it's so bad it was kind of hard to tell what direction the wheels were pointing and how much steering to put in. The body rolls like an old Citroen 2CV... long in the short of it it's totally out of its depth when pushed. Also, fuel economy was atrocious, as is the case with a big 3.5L V6 in a 2 tonne car. Then again, who pushes their SUVs? This is not the point of this car. If you want a sporting SUV, look elsewhere. But if you're looking for a relaxed way to travel, with a lovely interior and smooth engine, for a good price, then this is one of the better cars in the class. If I was in the market for an SUV to use on a daily basis, then this would definitely be on my list. The new 2015 Ford Explorer seats 7, but the third row can get surprisingly cramped. Ford seems to have gone all out on the interior of the new Explorer with the MyFord Touch infotainment system and the 8-inch touch screen. But while the interior is no doubt first class, it is missing additional features one would expect to find like the digital speedometer and the heated rear seats. Overall, the Ford Explorer offers a smooth drive and handles well. While the 2015 Ford Explorer has a high quality cabin, and some great safety features, the fact that there is less rear seat room makes it feel a lot bulkier then it actually is. As for the appearance, the Ford Explorer is great to look at, and the powerful base engine means that it drives like a dream. While the new Ford Explorer has some things going for it, the undersized cargo room and rear seat leg space does make it fall short of being the full package. 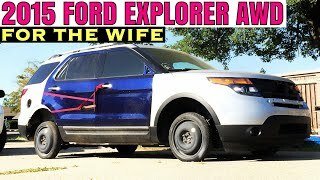 2015 Ford Explorer AWD project - Full Build For the Wifey!! http://youtube.com/watch?v=V-KtNNdPQBE Duration - 4:35. 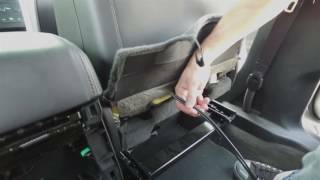 - 2015 Ford Explorer AWD project - Full Build For the Wifey!! The 2011-2017 Ford Explorer Has A Dangerous Defect That Ford Has Known About For Years. http://youtube.com/watch?v=iaxHZWOoPCU Duration - 12:58. 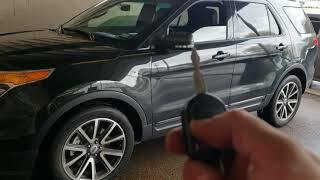 - The 2011-2017 Ford Explorer Has A Dangerous Defect That Ford Has Known About For Years. 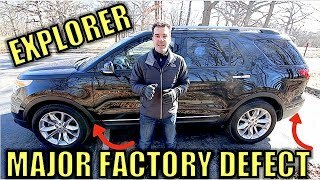 2015 Ford Explorer Consumer Reviews | Cars.com https://www.cars.com/research/ford-explorer-2015/consumer-reviews/ There are 129 reviews for the 2015 Ford Explorer, click through to see what your fellow consumers are saying. 2015 Ford Explorer Consumer Reviews - 32 Car Reviews | Edmunds http://www.anrdoezrs.net/links/8096781/type/dlg/fragment/%2F/https%3A%2F%2Fwww.edmunds.com%2Fford%2Fexplorer%2F2015%2Fconsumer-reviews%2F A complete list of 32 - 2015 Ford Explorer Consumer Ratings and Reviews on Edmunds.com. 2015 Ford Explorer Information https://www.autoblog.com/buy/2015-Ford-Explorer/ Get in-depth info on the 2015 Ford Explorer model year including prices, specs, reviews, pictures, safety and reliability ratings. 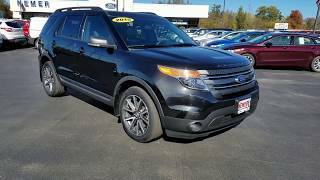 2015 Ford Explorer 3.5L V6 Twin-turbo AWD 6-speed ... http://www.anrdoezrs.net/links/8096781/type/dlg/fragment/%2F/https%3A%2F%2Fwww.edmunds.com%2Fford%2Fexplorer%2F2015%2Fst-200699670%2Fconsumer-reviews%2F Get 7 Consumer Ratings and Reviews from owners of the 2015 Ford Explorer 3.5 L V6 Twin-turbo AWD 6-speed Automatic on Edmunds.com. 2015 Ford Explorer Owners Manual: Ford Dealer: Amazon.com: Books https://www.amazon.com/2015-Ford-Explorer-Owners-Manual/dp/B00UVSU09C?tag=shadow07e-20 2015 Ford Explorer Owners Manual [Ford Dealer] on Amazon.com. *FREE* shipping on qualifying offers. 2015 Ford Explorer Owner Manual Book.